“India’s branding era in the field of education has just begun and in the next decade ‘Brand Education India’ would turn into a reality,” he said. 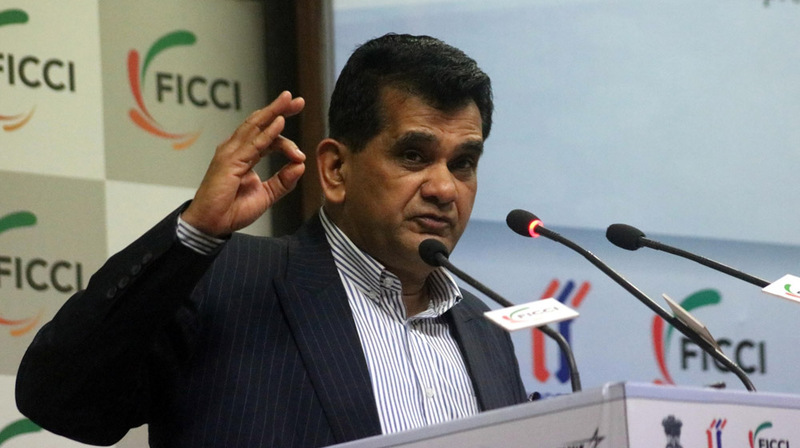 Amitabh Kant, CEO, NITI Aayog, said that if Indian universities have to excel and find a place in the Times University Ranking and QS Ranking 2019 lists, they would have to make strenuous efforts to attract the best talent as faculty, grant autonomy to educational institutions to adopt cutting-edge technologies and courses, highlight India’s strengths in special knowledge areas, support innovation and encourage incubation for start-ups, create an ecosystem for high-quality research and push for quality through a credible world class accreditation framework. Kant said a brand is not about advertising, marketing and promotion; it is about creating a great product that is capable of attracting talented students and faculty to its shores. At present, the number of Indian students going overseas for high education is 10 times more than foreign students coming to India for study. He said, the government, on its part, has taken a host of measures during the last two years to create an ecosystem for creating a top-class higher education system in the country. These include creation of world-class ‘Centres of Eminence’, greater freedom to enter into collaboration with reputed international institutes, encouragement to joint degree programmes, graded autonomy to well-performing institutions, setting up of incubation hubs to nurture innovation amongst start-up businesses, opening up online education and strengthening the accreditation system by introducing multi accreditation agencies to impart competition and achieve excellence. Kant expressed confidence that India has the potential to become the research and education hub of the world. TV Mohandas Pai, Chairman, FICCI Skills Development Committee and Chairman, Manipal Global Education, spelled out the prerequisites for universities of the future if India was to produce students with problem-solving skills sought by employers. Pai said that the higher education system in India can be classified into three categories- research-based universities, teaching universities and skill based or foundation universities. Each category should be backed with sufficient funding and flexible regulation. Indian universities of the future would also require academic, financial and administrative autonomy as “In our country, we are controlled by UGC directives”, he pointed out. He said that today’s students go to universities to learn, to get good faculty, to be ranked, to socialize and to compete. Pai said that today the education costs are going up. Universities are being driven by the need for research and the teaching component is going down. He, therefore, stressed the importance of offline and online education to equip students to get a degree from any top university in the world. In order to derive the desired outcomes from higher education, the flexibility of courses offered by universities needs to be expanded, he pointed out. TEA WITH A GLOBAL TWIST..